Do you have a little hero in your life? If the answer to that question is yes, then this might just be the wall text sticker for you or them! Depicts those very words, surrounded by stars and feathers! 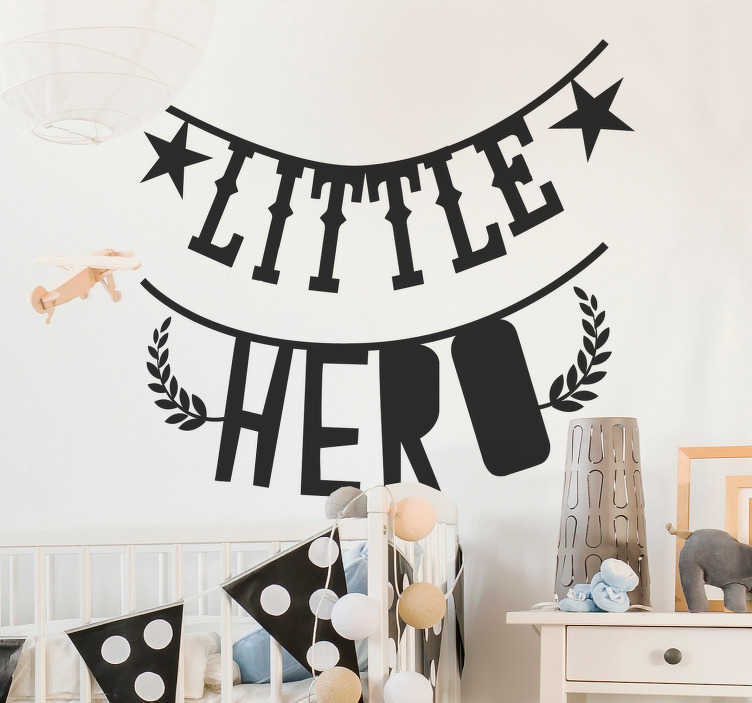 Perfect bedroom decor for those children who are already heroes! The text can be customised if you wish to change some of the wording, while the colour and size are both also completely changeable!